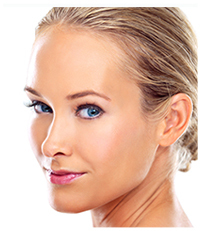 At Renaissance Plastic Surgery, our plastic surgeon’s number one priority is making sure Indianapolis women get the procedure that is right for them. When considering breast surgery, this is a particularly important decision because making the right choice is critical to getting a good result. One of the most common decisions our plastic surgeon helps women make is between a breast augmentation, a breast lift, or a breast lift with augmentation. All are commonly performed procedures with excellent safety records. However, the two procedures have different goals and so the correct choice will depend on the problem or problems you want to correct. You can rely on Dr. Joseph Fata’s experience and skill to help you choose the procedure that is appropriate for your personal goals and your body. If you have more than a small amount of sagging, you will need a breast lift. If you are satisfied with your breast size when you are wearing a supportive bra, then a breast lift alone may be all you need. If you also want to increase breast size and especially if you want to restore fullness to your upper breast, you may need a breast lift with augmentation. Some plastic surgeons believe that large amounts of loose, sagging breast skin can be corrected simply with a breast augmentation using larger implants. Dr. Fata believes that this approach is incorrect because the primary problem is breast skin that has been stretched and has lost its elasticity. A larger implant will just cause more sagging because your breasts cannot support the weight of the implant without a breast lift. Dr. Fata will recommend either the "doughnut" (peri-areolar) or the "vertical" breast lift technique. The recommended technique will depend on the amount of sagging and breast tissue you have as well as the quality of your skin. A more detailed description of these two approaches can be found on the breast lift page. If you’re looking for a qualified breast surgeon in the Indianapolis, Indiana area, please call Renaissance Plastic Surgery today at 317-575-9152. 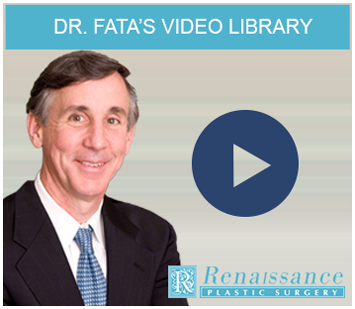 Dr. Fata has performed close to one thousand breast augmentations in his decades of service as a plastic surgeon, so you can trust in him to select the correct procedure while listening to your goals and concerns. Most women are good candidates for a breast augmentation, and it’s one of the nation’s most commonly performed plastic surgery procedures. Dr. Fata will answer all of your questions about your breast lift, including where incisions will be made, before moving forward with any procedure. In some instances Dr. Fata recommends that patients combine a breast lift with a breast augmentation. This is usually appropriate for patients who have significant sagging complaints and also wish to increase the size of their breasts. Dr. Fata will perform a breast lift using standard techniques, then place implants in order to increase the size of your breasts. If you’re an Indianapolis, Indiana woman looking for a skilled plastic surgeon, please contact Renaissance Plastic Surgery online or call 317-575-9152 to discuss your breast surgery options today.